Aniket Doegar is the CEO and co-founder at Haqdarshak, one of the winners of the 2017 DBS-NUS Social Venture Challenge Asia. 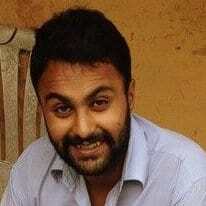 Doegar has been a Teach for India fellow and is an alumnus of SRCC, Delhi. An information drought is causing millions of India's poor to miss out on billions of dollars in vital government assistance. Haqdarshak is a tech platform that addresses this massive problem. Using a combination of technology and a network of people, the social enterprise aims to transform the way people find out about, apply for and benefit from various welfare schemes.